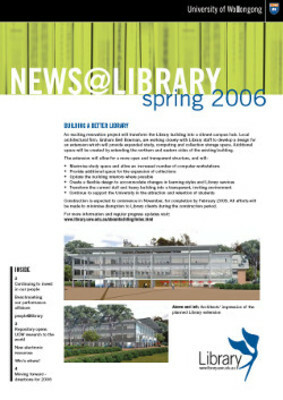 Publication history: news@library is the newsletter of the University of Wollongong Library. The first issue of news@library was published in Autumn 1997 and ceased in 2014. Prior to this the Library had published an irregular newsletter called Library News.